Not Just Q is not your average Texas BBQ. We are a five star BBQ catering company that offers a variety of delicious foods. Not only is our BBQ high quality, but the sides that we offer are just as good. If you’re trying to decide if we’re the right catering company for you, then continue reading our blog to find out what you can expect when you hire us for our catering services. If you already know that you want to choose a five-star catering service, then contact us today and we’ll get started on planning your special event. Trying to decide on the best catering services for your special occasion can be difficult. With so many options out there, you may not be able to decide on just one. In our blog today, we’re going to dive into some reasons that you should consider us for your catered event. If you’re trying to decide between us and someone else, then this list can truly help you make that final, big decision. So what can we offer you? Why should you choose Not Just Q? Let’s dive in to find out the benefits of our catered services. The first reason that we strongly encourage you to choose us is because of the catered events that we offer. Our event catering goes above and beyond to meet your needs. We have experience catering a variety of events both big and small. We’ve done everything from weddings to corporate events and parties. We’ve served businessmen and women lunches and we’ve been able to witness family reunions because we loaded their plates with BBQ. We’ve done and seen it all, and we look forward to catering your own special occasion, no matter the number of people or size of the event. We have delicious food on our menu, obviously, but it’s the homemade and exquisite tastes that really make people’s mouths water when they hear Not Just Q. Our authentic and fulfilling BBQ comes in many different types. We offer a variety of meats by the pound, sides, tacos, sandwiches, and we also offer drinks. The meats that we offer are sausage, turkey, brisket, pork, ribs, and chicken. If you’d like to get ribs, we offer a few different amounts. If you’d like more than one type of meat, then we have samplers. Our sides include Mexican slaw, smoked pit beans, potato salad, garlic green beans, and cheese corn. Additionally, if you love tacos, then you’ll heartily enjoy our brisket, chicken, pork, sausage, and turkey ones with some cilantro slaw to really bring the tastes to the next level of scrumptiousness. Another benefit of choosing us is the catering customizability that we offer. The price of catering for BBQ events will vary because of you. We want everyone to enjoy delicious BBQ, so we’ll shape the budget based on things like your budget and the size of your event. We know that you have a lot on your plate, which is why we strive to make the cost as clear cut and easy as possible. We’ll work with you based on the size and the request for your event. We are a flexible catering service because we know how much everyone wants to enjoy some BBQ. Our delicious food is also offered at a competitive rate, which makes working with us simple no matter the event. 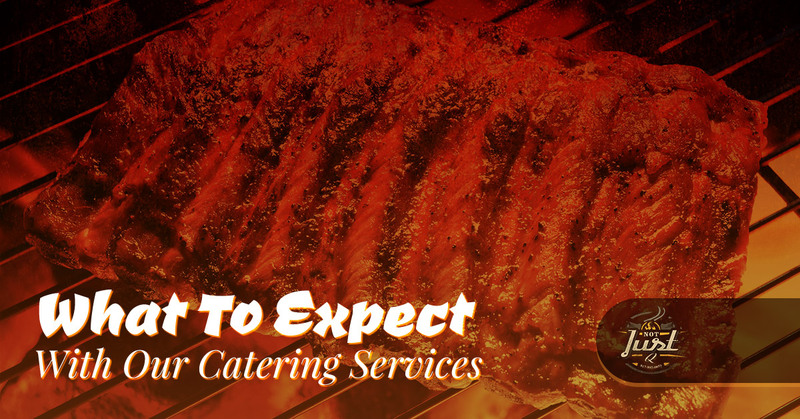 When it comes to catered services for BBQ, Not Just Q is the company to consider. 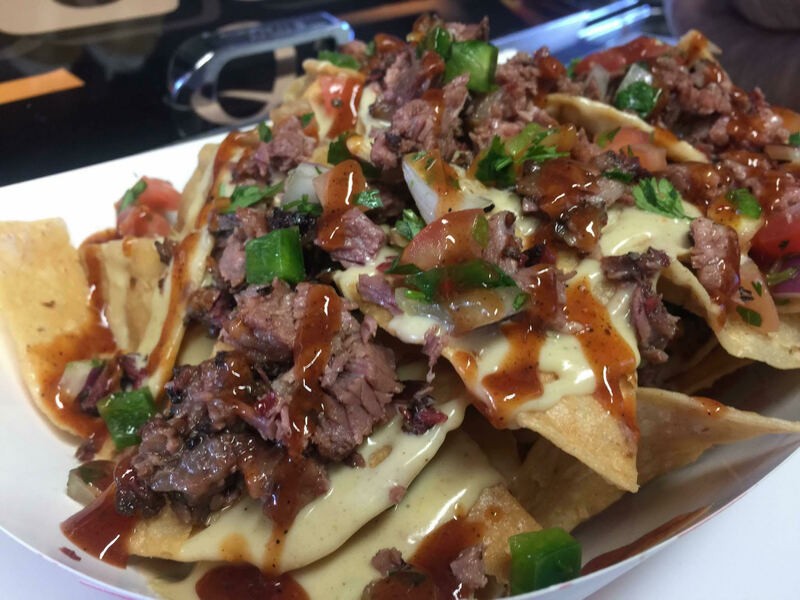 Not only do we provide the highest quality of meats from scratch sides, but we are considered the best the best barbecue food truck in Dallas. As a winner of the Dallas Observer’s Best Of: Food & Drink, we know that we are the preferred BBQ catering option. One of the reasons that we are such a preferred option, other than having delicious BBQ, is because we make working with us easy. Just tell us what you need and we’ll be sure to get it to you when you expect it. 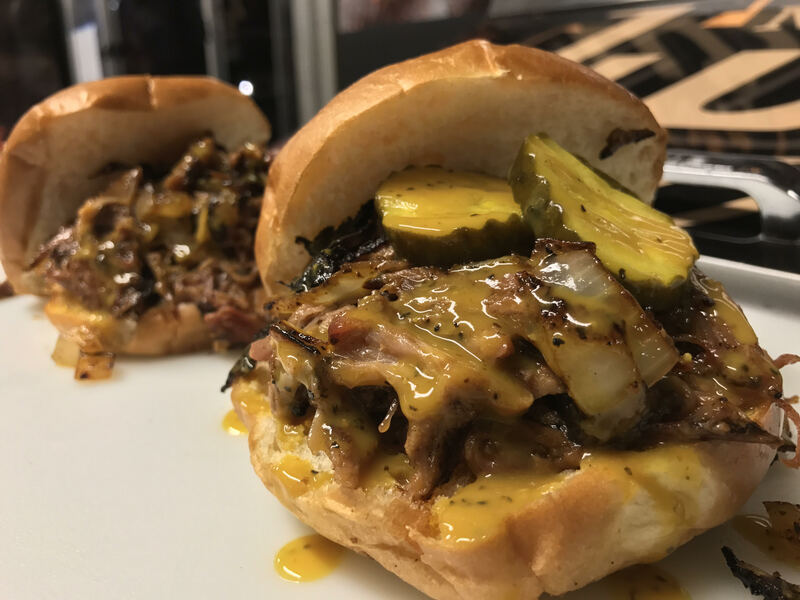 We pride ourselves on being a BBQ catering service that offers delicious food to people at food rallies as well as at catered events. If you’d like to take advantage of everything we can offer your special event, then reach out to work with us today.